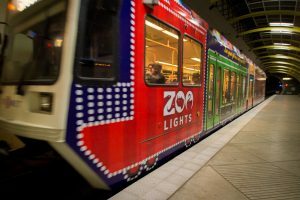 Take TriMet to enjoy one of Portland’s favorite holiday traditions, ZooLights at the Oregon Zoo. The dazzling display of more than a million and a half lights is open through Saturday, Jan. 5. Our MAX Blue and Red lines stop hundreds of times a day at the Washington Park MAX Station, with a surface level plaza next to the zoo. TriMet’s bus Line 63-Washington Park/Arlington Hts also stops at the zoo’s front gate from about 7 a.m. to 7 p.m. daily. 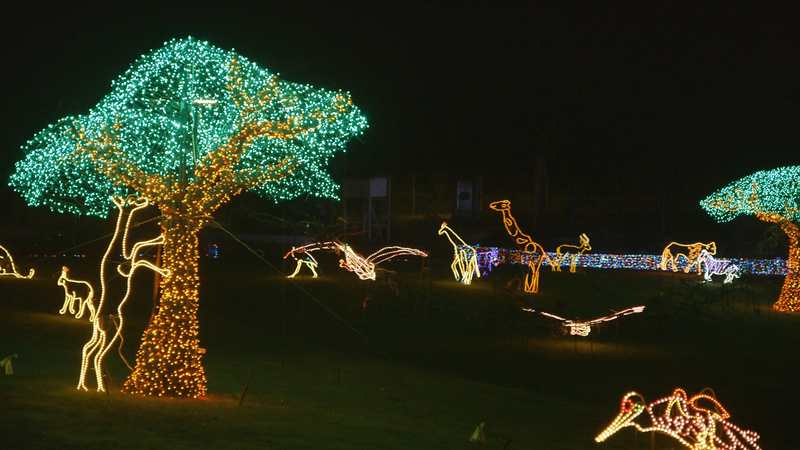 The popularity of ZooLights can also make it hard at times to find parking at the zoo. With a train arriving at the Washington Park MAX Station about every eight minutes, riding MAX can spare you the hassle and cost of parking on site. Visitors who drive can also avoid zoo congestion by using the Sunset Center Park & Ride. Located off Highway 26 just two exits west of the Zoo exit, it’s a short seven-minute train ride to the zoo. We also have many other Park & Rides system-wide where you can park for free, and take MAX Green, Orange or Yellow lines to connect with Blue and Red lines at Pioneer Courthouse Square. Along with being the easiest way to get to the Oregon Zoo, taking TriMet can also save you money. Show your fare at the gate and receive $5 off your admission on regular ZooLights nights, and $1.50 off admission on Value Nights. Oregon Zoo members who take MAX and show their fare at the gate, can bring someone else along free of charge. 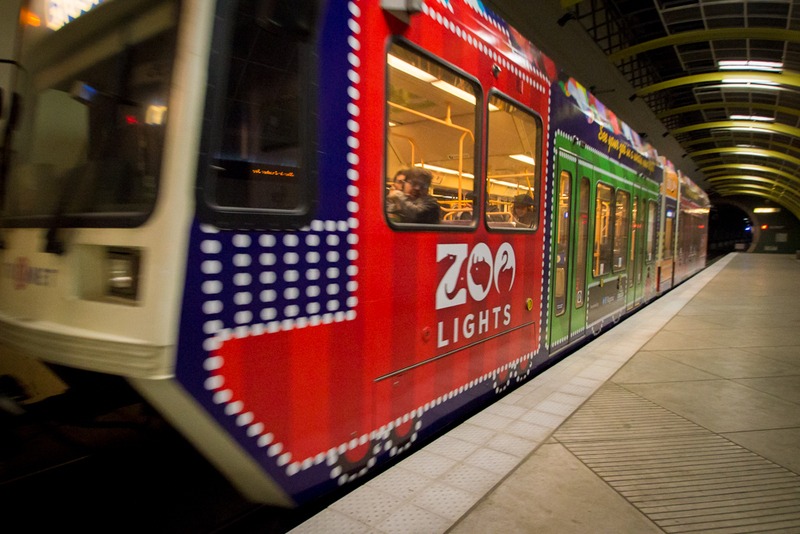 When you buy your ZooLights tickets online December 1 – 3, Explore Washington Park will send you one pre-loaded $5 Hop card for every ticket you buy. The card works like a reloadable gift card that you just tap on the green Hop readers to pay at MAX stations and aboard buses. Use the Hop card to take MAX to ZooLights, but buy your tickets early as the supply of free Hop cards is limited. Plan your trip in advance using our online Trip Planner, or call our Rider Support team at (503) 238-RIDE (7433) from 7:30 a.m. to 5:30 p.m. every day. You can also reach them 24 hours a day via text message at 503-238-7433 and on Twitter at @trimethelp. A day pass costs just $5 for adults and $2.50 for youth (ages 7-17). Children six years and under ride free. Reduced fare is also available for honored citizens and low-income riders, who must prequalify with proof of eligibility. Pay your fare with a Hop Fastpass® card that you can pick up at one of hundreds of retail outlets. You can also buy a virtual Hop card at the Google Play store and load it into Google Pay, or pay Adult fare only with your phone by using your mobile wallet and tapping it on the Hop reader. Sorry, we’re not able to offer youth tickets via mobile wallet. 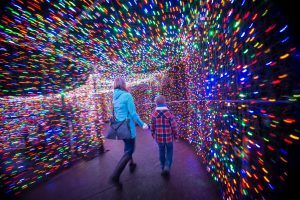 ZooLights is open through Saturday, Jan. 5, 2019, with closures on Christmas Eve and Christmas Day. 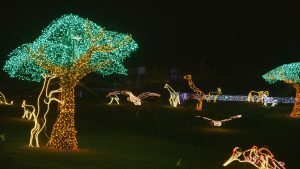 Only those 21 years and older will be admitted on Tuesday, Nov. 27 and Wednesday, Nov. 28 for the zoo’s popular BrewLights event. 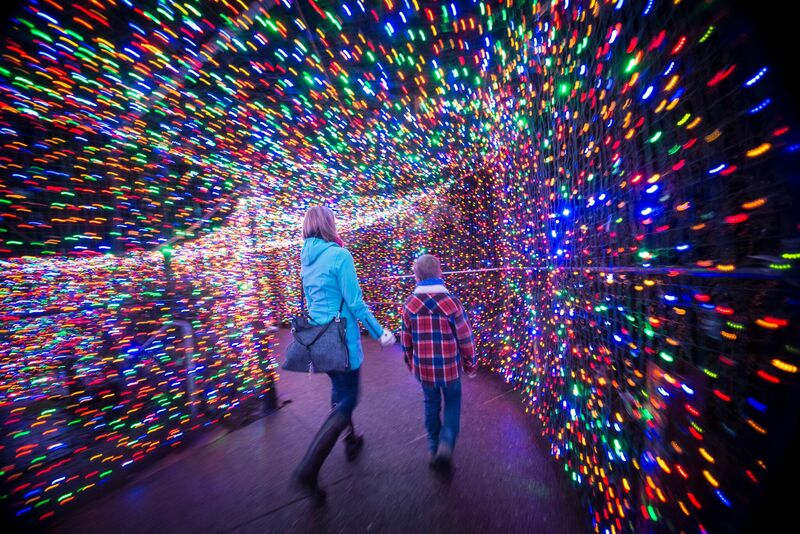 Tickets are valid after 4 p.m. on all days, with ZooLights hours starting at 5 p.m.